It’s the first day of spring according to the solar calendar, but I didn’t expect the outdoors to show anything different. First, this greeted me when I stepped outside. 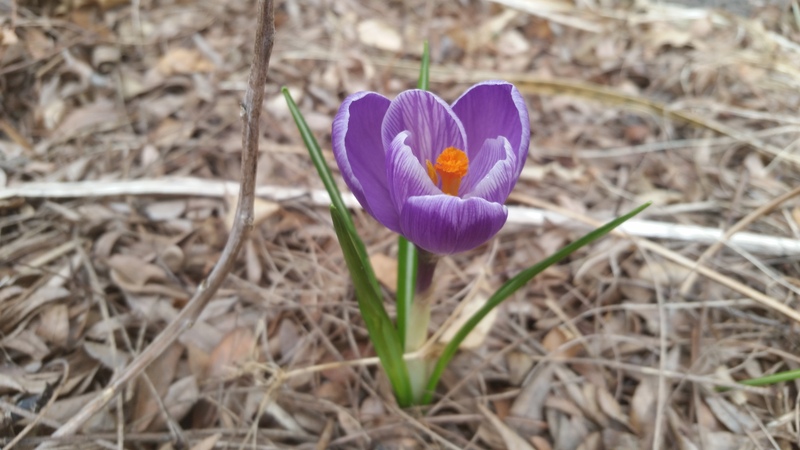 The first crocus of the season! 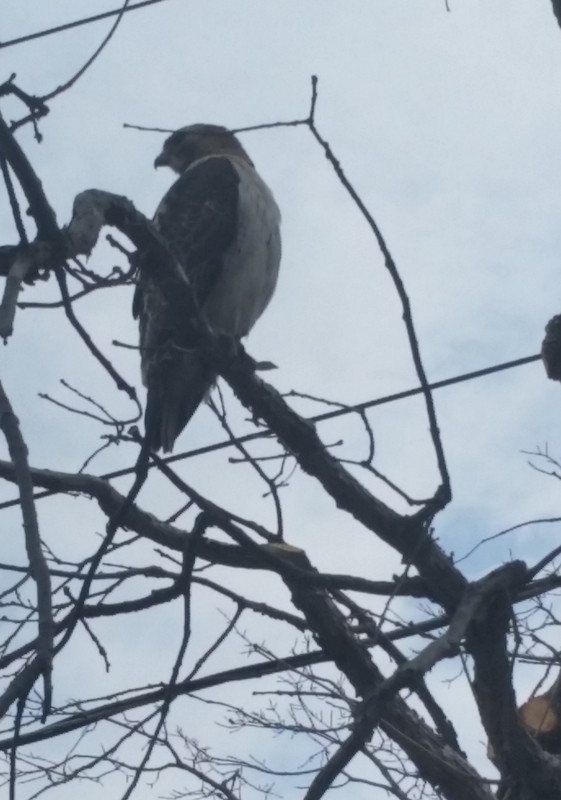 Then, I saw a hawk. 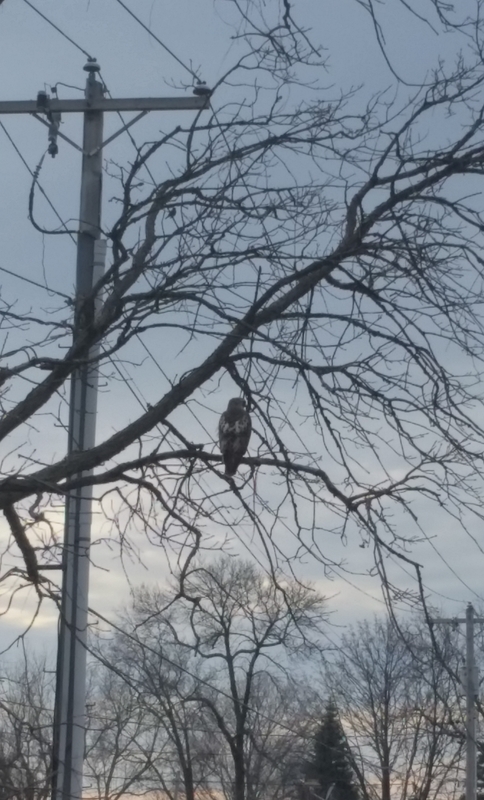 Hawks are around all winter, but I don’t usually get to see them this close. Alas, I did not bring my camera with me, so you get subpar phone photos. 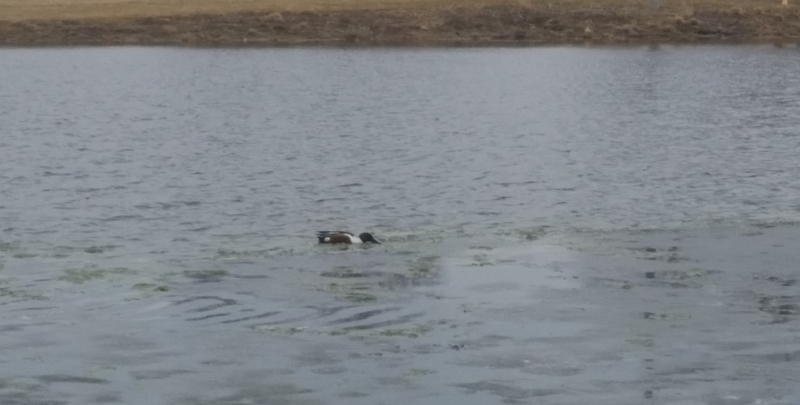 It dragged its beak through the water as it swam to shovel up its food. Hence the name. Time to start carrying my camera with me again when I go out.